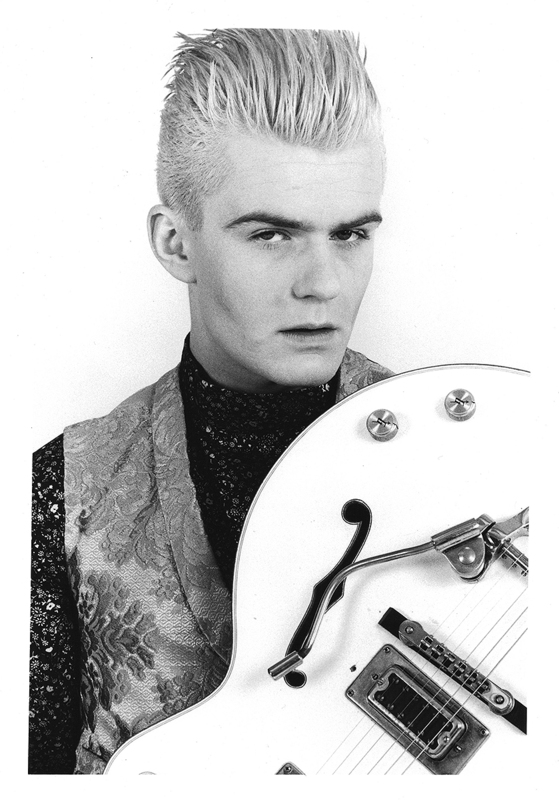 "This Tom Sheehan black and white shot with my Gretsch White Falcon was from the same session that featured on the cover UK music magazine Melody Maker in January 1985. This was one of my early attempts at the psychedelic biker look that I felt I nailed on for the 'Love' album shoot and in the 'Sanctuary' video. In this shot pre-dating those events by a couple of months I think it's more charity shop upholstery salesman sadly! But hey that's one tight haircut... I might try that again soon...time get the bleach out!!"